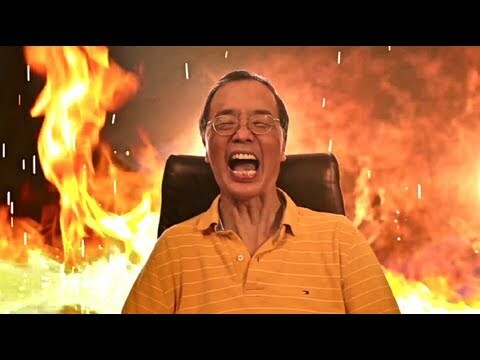 KevJumba and his dad Papa Jumba are back with another episode of My Dad is Asian. Topics for this episode include saving money, Bruce Lee, & enrichment. KevJumba shares his money saving plan with his dad to save thousands of dollars by quitting college and making youtube videos. (This never goes over well with Asian parents.) With his acting career on the rise, KevJumba gets some tips form Papa Jumba who shows him some Bruce Lee moves. You know your parents are Asian during summer. Summer isn’t for fun, it’s for enrichment of your mind with more classes. Year round education for you. Finally, medical bills aren’t cheap, so they come up with a way to save more money. This entry was posted in comedy, shorts on August 8, 2013 by Kevin Hsieh - channel APA. The web series Roll Models continues with episode 4 “The Last Strike.” Danielle Lo, Michelle Yee, and Nikita Esco pay a visit to MMA fighter Nam Pham’s Academy for some girl time, while Gina Darling and Melyssa Grace go shopping for a go-go outfit for Scarlet Chan. The models tried to welcome her into the go-go dancing world, but Scarlet’s attitude and wild behavior has been rubbing some of the girls the wrong way. They all meet Jowe Lee at the bowling alley as they chat about sexual odd experiences, while Jowe ties “get to know” Melyssa a little better. A fun night out at the bowling alley quickly unravels into a drama-fest as sparks fly between Scarlet Chan and Michelle Yee. This entry was posted in shorts on August 8, 2013 by Kevin Hsieh - channel APA. Margaret Cho’s webseries “In Transition” continues with episode 6 “A Conjugal Visit”. Tensions build between the girls (Tawny, Concha and Farhonda) when a surprise visit by Tawny’s ex-boyfriend Bobby makes them question Tawny’s motives. What’s she really want with Marla? Meanwhile, Marla enlists her financial manager Barry to help with her newly hatched plan. This entry was posted in comedy, shorts on August 7, 2013 by Kevin Hsieh - channel APA. The webseries “The Blue Line” directed by Kevin Boston kicks off with episode 1 entitled “Rat”. In the first episode, Detectives Rick Torres and Darren Mak (David Yee) confront Narcotics Detective Briggs about a possible set up. The proud few, born and raised Boston Police Officers living the fine line of righteousness. A City with a long history of crime, corruption and Organized Crime Syndicates. Bostonians rely on these brave men and women in Blue to protect and serve them. Some of which walked the other side of The Line, The Blue Line. This entry was posted in comedy, shorts on August 6, 2013 by Kevin Hsieh - channel APA. The story centers around Carrie (Leah McKendrick), the newly appointed president of the not-so-popular Delta Pi sorority. Carrie’s world crashes down when she catches her longtime boyfriend cheating with the president of the Alpha Gammas: campus’s most desirable and fearsome house. 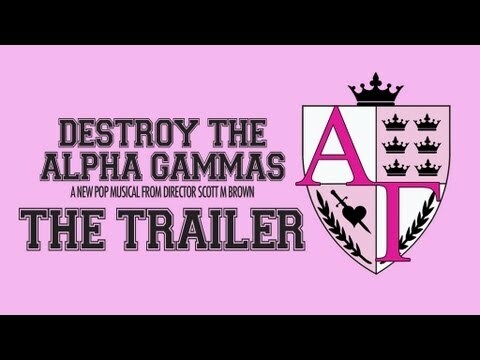 The Alpha Gammas are the girls your mother warned you about: man stealing, trash talking, polo shirt wearing snobs that think nothing of ruining lives. The Alpha Gammas stop by the Delta Pi house for a quick (and seasonal) attack. Enough is enough: a newly defiant Carrie declares war on the Alpha Gammas- determined to defend her house once and for all. However, as the plan is underway and the AG’s begin to implode, the Delta Pi’s realize that they just might win this battle- but at what cost? Look for singer Michelle Martinez as Ling with Delta Pi in the series. Listen to music from Michelle Martinez : Party All Night, Crushin’, and Nobody But U. This entry was posted in shorts on August 6, 2013 by Kevin Hsieh - channel APA. Video Game High School Season 2 continues with episode 2 with plenty of changes for Brian D and Ted Wong. The duo (aka Bred) get a new roommate… The Law, who is bent on “revenge.” Brian D finds out that he lost his scholarship to VGHS and must pick up janitorial duties to stay in school. Balancing school and work isn’t easy for him. He gets delusional with a lack of nutrition as Coach Matrix institutes health food only for her FPS team. 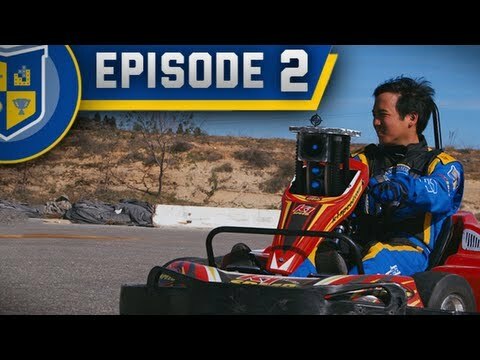 Ted Wong finds out that drifting class isn’t all it’s cracked up to be as he tries to win over his fellow teammates with soda. However, he takes a wrong turn with the Duchess of Kart. Can Ted redeem himself with his class? Meanwhile, Ki ends up accidentally as an RA (Residential Advisor) and must face her toughest resident, The Law. This entry was posted in shorts, videogames on August 5, 2013 by Kevin Hsieh - channel APA.